Portland, OR, USA, November 14, 2018 — The IntelliCAD Technology Consortium (ITC) announced the release of IntelliCAD 9.0a. IntelliCAD 9.0a is a maintenance release for version 9.0 that was previously issued on June 29, 2018. IntelliCAD maintenance releases concentrate on fixes, but IntelliCAD 9.0a also includes several new features: add blocks to tool palettes for quick re-use, set the cursor to a gun sight crosshairs, toggle cursor colors and types on the fly, and chamfer and fillet edges of 3D solids. IntelliCAD 9.0a is supported on Microsoft® Windows® 10, Windows 8, Windows 7, and Windows Vista®, including 32-bit and 64-bit versions. Portland, OR, USA, December 22, 2017 — The IntelliCAD Technology Consortium (ITC) today announced the release of IntelliCAD 8.4b. IntelliCAD 8.4b is the second maintenance release for version 8.4 that was previously issued on July 14, 2017. IntelliCAD 8.4b includes critical fixes for running IntelliCAD on the Fall Creators 2017 Microsoft® Windows® update. Additionally, performance has improved in targeted areas, including moving around in large drawings, working with clipped external references, and memory management. Other improvements include a more streamlined process for creating new drawings (there is a new QNEW command), new German (DEU) language resource files, and fixes for working with locked layers, multiline text, hatches, the Simplified Chinese translation, and more. IntelliCAD 8.4b is supported on Microsoft® Windows® 10, Windows 8, Windows 7, and Windows Vista®, including 32-bit and 64-bit versions. 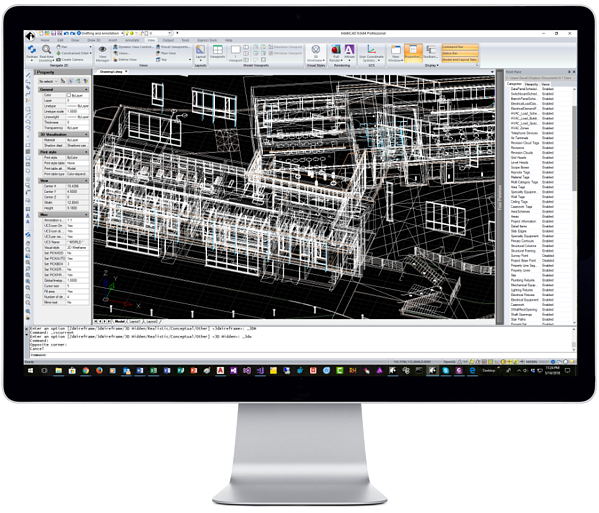 IntelliCAD now delivers access to version 2018 .dwg files. 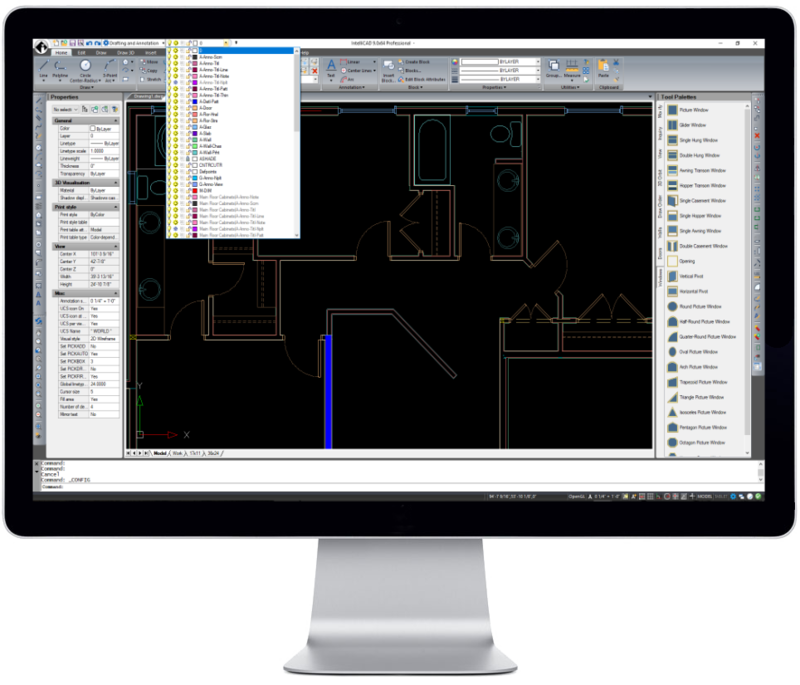 IntelliCAD works natively with .dwg files, with no conversion required, but initial support of the latest .dwg file version 2018 does require conversion. IntelliCAD is expected to have native, non-conversion support soon after the next release from Open Design Alliance, of which the IntelliCAD Technology Consortium is a founding member. Conversion is prompted for directly within IntelliCAD when you open a version 2018 .dwg file, and then the file can be converted to a version 2013 .dwg file. Conversion is also supported in IntelliCAD Converter. Initial version 2018 support is available to ITC members for IntelliCAD 8.4, 8.3a, and 8.2a. Portland, OR, USA, July 14, 2017 — The IntelliCAD Technology Consortium (ITC) announced the release of IntelliCAD 8.4. 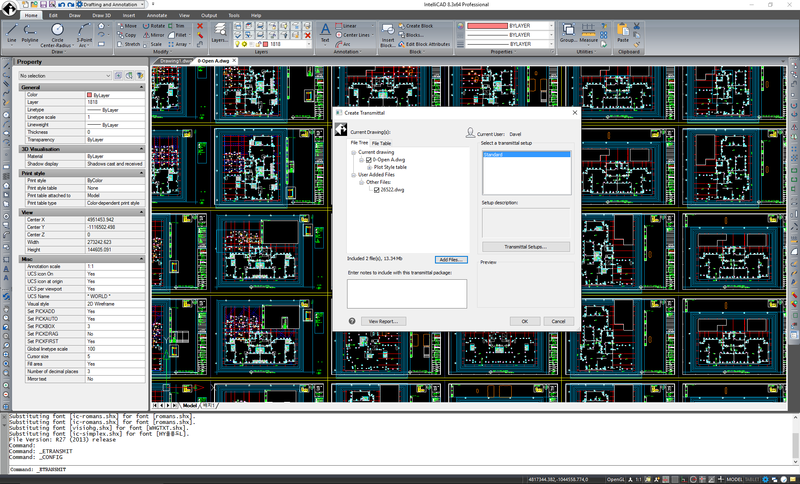 IntelliCAD 8.4 is a major release that includes many new features and improvements. IntelliCAD 8.4 boosts performance during screen redraw and while snapping in files with underlays. Running IntelliCAD on 4K monitors and switching between monitors with high resolutions is now supported. 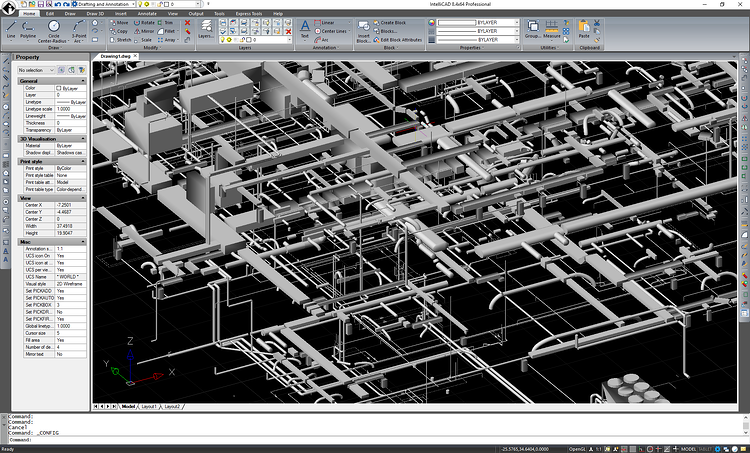 For ITC members who are part of the BIM Special Interest Group, IntelliCAD 8.4 adds brand new support for IFC underlays. IFC (Industry Foundation Classes) format files include building and construction data, and once the .ifc underlay is attached, you can explode it, snap to it, and use a Categories pane to control visibility. For versions of IntelliCAD that support markup for .dgn files in their native format (as part of the DGN Special Interest Group), several new features are available such as loading blocks from .cel files, Array command, Fillet command, and more. IntelliCAD 8.4 is supported on Microsoft® Windows® 10, Windows 8, Windows 7, and Windows Vista®, including 32-bit and 64-bit versions. Portland, OR, USA, April 3, 2017 — The IntelliCAD Technology Consortium (ITC) announced the release of IntelliCAD 8.3a. IntelliCAD 8.3a is a maintenance release that contains close to 300 improvements and fixes since the IntelliCAD 8.3 release on December 28, 2016. IntelliCAD 8.3a includes performance improvements, fixes for natively working with .dgn files, printing fixes, editing fixes, and more. Also included are enhancements to the new in-place multiline text editor that was released last year, including paragraph alignment, symbols, alt-codes, stacked text, numbered lists, and unnumbered lists. Portland, OR, USA, December 28, 2016 — The IntelliCAD Technology Consortium (ITC) today announced the release of IntelliCAD 8.3. IntelliCAD 8.3 is supported on Microsoft® Windows® 10, Windows 8, Windows 7, and Windows Vista®, including 32-bit and 64-bit versions. 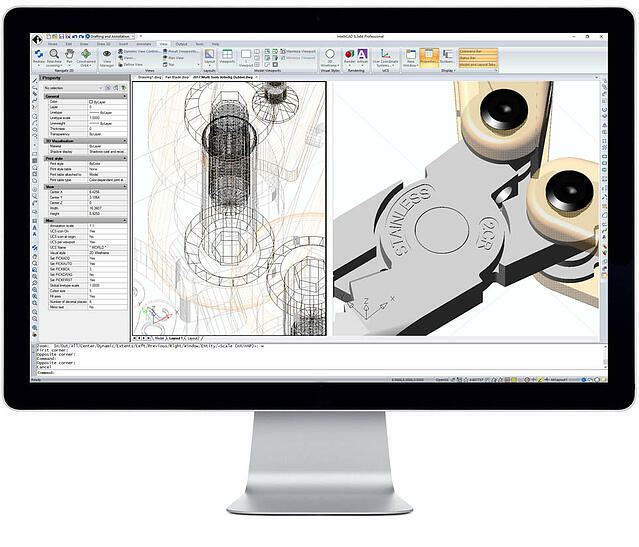 CAD-MANUFACTURING SOLUTIONS, INC. (CMS), member of the IntelliCAD Technology Consortium, announced the release of CMS IntelliCAD 8.1 Premium CAD software. CMS IntelliCAD 8.1 now includes support for Microsoft Windows 10, multi-core processing when opening and regenerating files, and much more. For more information, visit https://www.intellicadms.com/component/k2/item/2-new-cms-intellicad-8-1-cad-software.